Technology is changing our interiors, and all for the better. The interior design industry has evolved and adapted to the different demands and trends that came and went overtime. Here at Sensory Six, we are constantly looking for new ways to help our clients’ space create something that is fresh and up to date with the latest trends. One specialty area of Sensory Six is applying the best technology to provide clients with living spaces that are highly functional and contribute to health and wellness. Check out the following technological advancements that are making a mark in the design industry today. SmartThings. Nest. Honeywell. Control4 MyHome. New smartphone apps are giving homeowners the ability to control a room’s lighting, heating, and security all from your fingertips, whereas voice-activated devices like Google Home and Amazon Alexa can help homeowners manage their home using voice commands. With the increased popularity of smart home devices, interior designers need to consider creating a room that is accessible by hand and/or voice, meaning crafting enough room for smart light switches, thermostats, and meters. Since the rise of house and living costs, the tiny house moment has skyrocketed. With a home that measures less than 400 square feet, interior designers face a new and exciting challenge of creating a space that is visually appealing, fully functioning and contributes to health and wellness. The challenge of creating a home with such a small canvas is finding creative ways to incorporate smart technology throughout the home. You might have heard of virtual reality when discussing video games, but now, it’s transitioning into the world of interior design. Combine virtual reality with interior design and you have the ultimate power couple. Virtual reality allows designers to walk a client through a digital room or building they have designed, without having to do the work in the real world. Moreover, letting you point out individual nuances in your creation in an immersive way. Now, that gives designers a competitive edge. Thanks to 3D renderings of objects and furnishings, augmented reality is a great tool to help interior designers visualize rooms and design layouts. This can provide both a visual aid and a 98% true-to-life 3D model, according to IKEA. Designers can now accurately measure designated spaces with ease and make their presentations impactful, factual and easy to understand. 3D Printing is an efficient, quick and extremely cost effective way for interior designers to quickly demonstrate their ideas and designs for clients to sample and provide feedback. The convenience of 3D printers is an interior designer’s dream. This helps us achieve a competitive edge, improved relationships, and gives our clients a predictable result. Building a home with a high emphasis on the environment has become extremely popular over recent years. Many families prefer to take advantage of natural light and eco-friendly materials. At Sensory Six, we have a strong environmental focus, meaning selecting health-conscious materials to incorporating automation systems. The interiors of our homes are always changing to meet the shifting trends, different ways of living and new technologies that come about. As a result, interior designers are constantly tasked with keeping up and integrating these new features into client spaces. 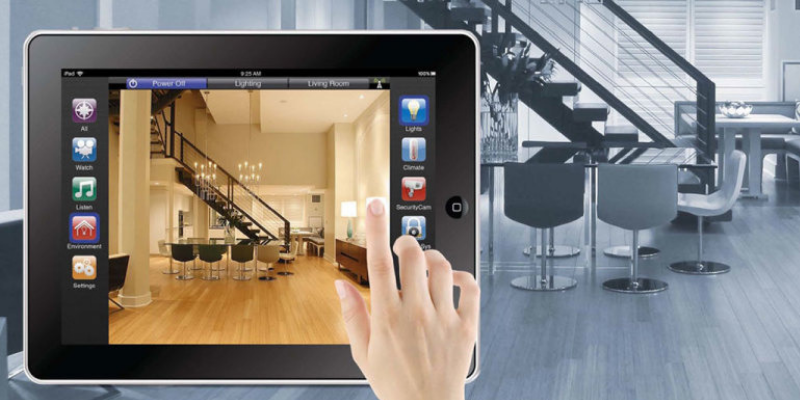 Want to know how to incorporate these latest technologies in your home? Contact us at info@SensorySix.com to set up a meeting to learn more.